Video Archives - Page 6 of 8 - Black Hair OMG! It's Ridiculous To Say Black Women's Natural Hair Is "Unprofessional"! News anchor Angela Green recently got a lot of attention because of a video she put up on her Facebook profile.
. Responding to the situation, Angela Green suggested that the intern straighten her naturally curly hair just this once in order to please everyone. anyway. Why offer another reason to be judged harshly and unfairly? 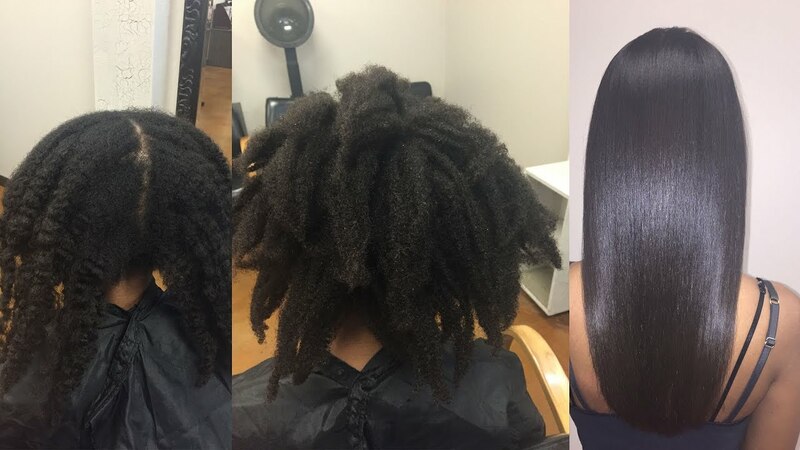 Many woman strongly felt that a black woman straightening her hair only to appease others at work was considered “selling out.” Yielding to these workplace microaggressions against how black woman wear our natural hair means discarding a crucial piece of how we were created naturally. I have to agree with this last point of view. In order to fully understand the scope of the push back against black women wearing their natural hair, we have to think about how American society defines and determines what’s considered “beautiful” and acceptable. A culture’s standard of beauty can come in many forms, depending on the country you compare yourself to. In Saudi Arabia, newscasters may wear hijabs, etc. In India, you will find women wearing saris in TV commercials. In Western culture, the celebrated standard of beauty is typically white women with straight hair. We see this everywhere from fashion show runways to TV commercials to highway billboards, it's always the same look. In American society, the further a woman deviates from this "ideal", the more undesirable you appear in the eyes of those that live by the set agenda. So this set agenda makes you wonder. How does Western society deal with those that don't bow to its "standard of beauty"? The women that push away from the set status quo? What occurs when society’s perception of beauty is shaken up by a particular hairstyle they have no intentions on embracing? Black women are, and have always been, the outliers. Traditionally, outliers (i.e people who are outside of society’s normative standard of beauty) are forced to conform to what society deems acceptable or risk being push away. This is what Green was attempting to communicate to the intern. The intern’s hair is a “distraction” simply because it’s outside of society’s traditional standard of beauty. No more, no less. , hair, etc. How people wear their hair is an art and it’s the only wiggle room women have in the workplace besides makeup. Of course, there had to be SOME reason the intern was singled out. Obviously most black women's hair doesn’t naturally straighten, it naturally stands up and stands out. Standing out in society, much less the workplace, isn’t always rewarded. Because the intern deviated too far from the classical conception of beauty, she kept being reprimanded, even in the subtlest of ways. signified rebellion against society and centuries of self-hatred that has been ingrained in African-Americans since the days of slavery. Because of this, society still thinks of our natural hair in terms of being a disruption against the status quo and a hostile force, especially in the work environment. They need to shake that thinking and see people as proud to be themselves and not in need of changing into some watered down version of themselves. In short, while Angela Green’s advice may have been understandable in the context of being able to advance in a predominantly white work environment, it does much more harm than good. It forces black women to choose complacency in a broken system that continually discriminates against anyone different. It's far better to embrace our our natural selves the way that God made us, our culture and face discrimination head on than continue to yield to unequal and invalidated bias societal beauty standards. Embracing our natural hair means embracing ourselves as beautiful, as worthy, and we need to fight for the right to show our natural selves in the workplace. Of course there are standards set, but my natural hair isn't an "offense". We are beautifully made.